Cllr. Chris Read, the leader of Rotherham Council and chair of the Sheffield City Region (SCR) Combined Authority (CA), has provided an update on devolution in Yorkshire. The issue was debated again in Parliament this week as ways of devolving powers and money to the region are explored. Read said that Rotherham Council was "pragmatic about how best to make progress, as long as progress is being made." As a proposed devolution deal stumbles in the SCR, a Mayoral Combined Authority is still set to be created, building on the 2013 agreement which saw the nine local authorities that comprise the city region create a new legal body with responsibility for transport, economic development and regeneration. Orders went through Parliament but a mayoral election was delayed following a legal challenge over the consultation brought by Derbyshire County Council. Chesterfield and Bassetlaw Councils withdrew their applications to be full members of the Combined Authority. Whilst a lack of consensus from the leaders of South Yorkshire's four councils denied the SCR the chance to conclude a devolution deal with the Government, an election is still due to take place next year. Barnsley and Doncaster have focused on a potential "One Yorkshire" devolution solution. A "two tier" solution has been mooted by Barnsley and Doncaster to avoid a costly election. It would involve the SCR deal being concluded and then authorities being "allowed" to join a wider Yorkshire authority at a later date. In a letter to Communities Secretary Sajid Javid, Read said: "My priority in all these discussions remains to deliver without further delay the benefits of devolution to the people of Rotherham they have been promised for the last two years. "The whole of Yorkshire has already fallen too far behind the rest of the country. Rotherham's position remains that we believe the Sheffield City Region Deal is our best opportunity to draw down funding and decision making to strengthen our local economy, and we have not yet seen any counter proposal which we believe would bring the same level of benefit to our borough. "At the same time, I am acutely conscious that our colleagues in Barnsley and Doncaster have expressed a preference to be part of a wider geographical footprint in the future and it would not be appropriate for anyone to seek to prevent them from doing so. "An interim mayoral arrangement, on either an elected or unelected basis, that allowed South Yorkshire to draw down the funding and powers connected to the Sheffield City Region Deal would be welcome. "I would accept, subject to the usual democratic discussion, the broad outline of the proposal from the Leader of Barnsley MBC and the Mayor of Doncaster in their joint letter to you dated January 9. "I am relaxed about the possible length of a first mayoral term, but there would seem to be merit to giving consideration to a two-year term, bringing South Yorkshire into the same electoral timetable as other Metro Mayoral areas in 2020. 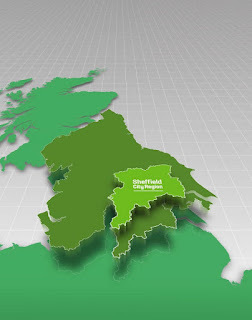 "At the same time as we accept the right of one or more South Yorkshire councils to pursue and ultimately commit to a deal on a different geographical footprint, it remains equally important that any authorities who would choose to remain within Sheffield City Region in the future should not be disadvantaged, either by a relative reduction in funding per head of population, or a reduction in the devolved powers, or by any moves that would see decisions currently made at a South Yorkshire level removed to a regional level further from the public. We would seek assurances about this as part of our negotiation. "On this basis we are keen to pursue fruitful discussions at the first opportunity, allowing the Combined Authority to proceed to public consultation ahead of the council moving to consent to the resulting order. "I have asked the council's Chief Executive to prioritise any conversations with your officials to help facilitate this."